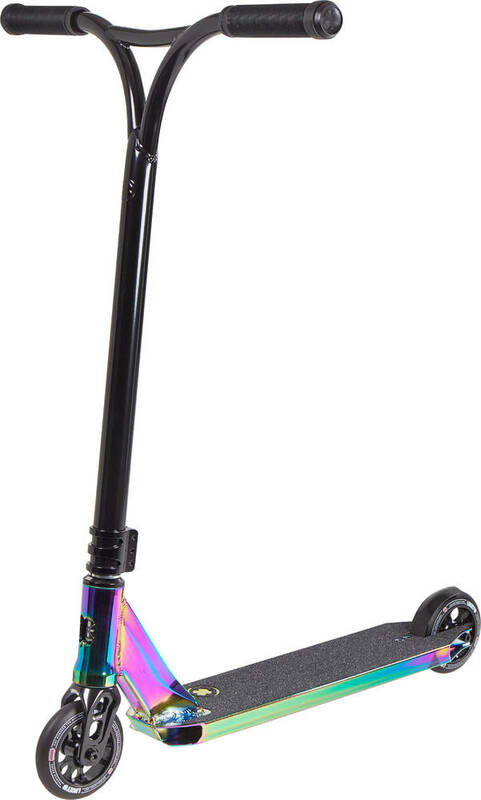 Here we present the Covenant model featuring a 20.5" x 4.45" deck, 23" Silo Bars and 110mm Toaster style wheels fitted with super smooth Lucky bearings. 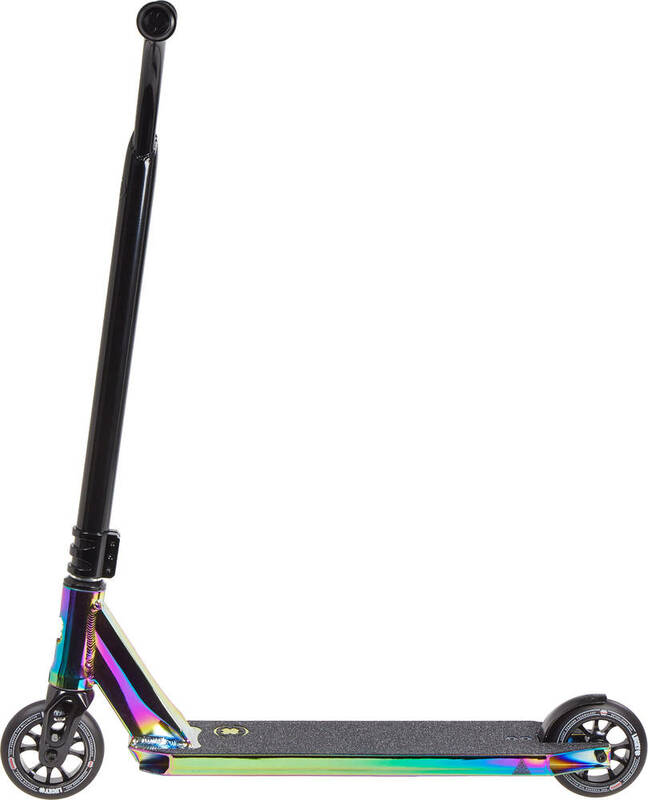 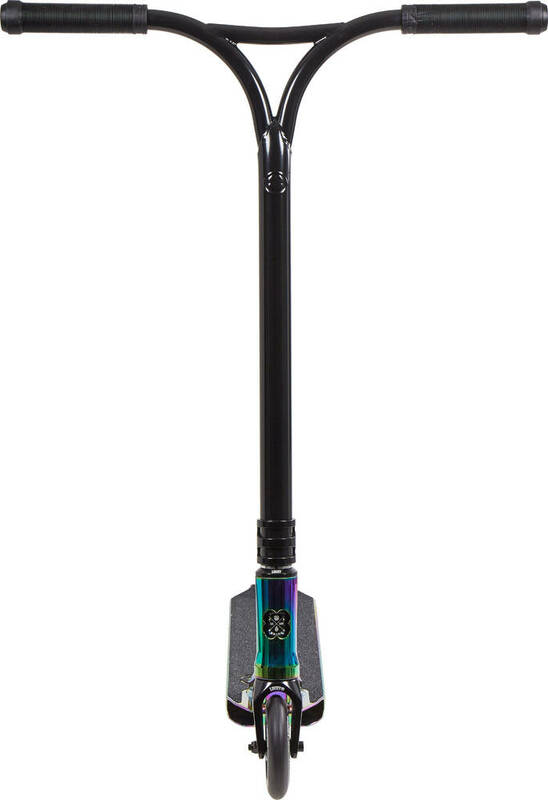 This Covenant trick scooter also features a 6061 T6 Aluminum Indy Fork, fully integrated headset, steel flex brake and a sleek triple clamp. 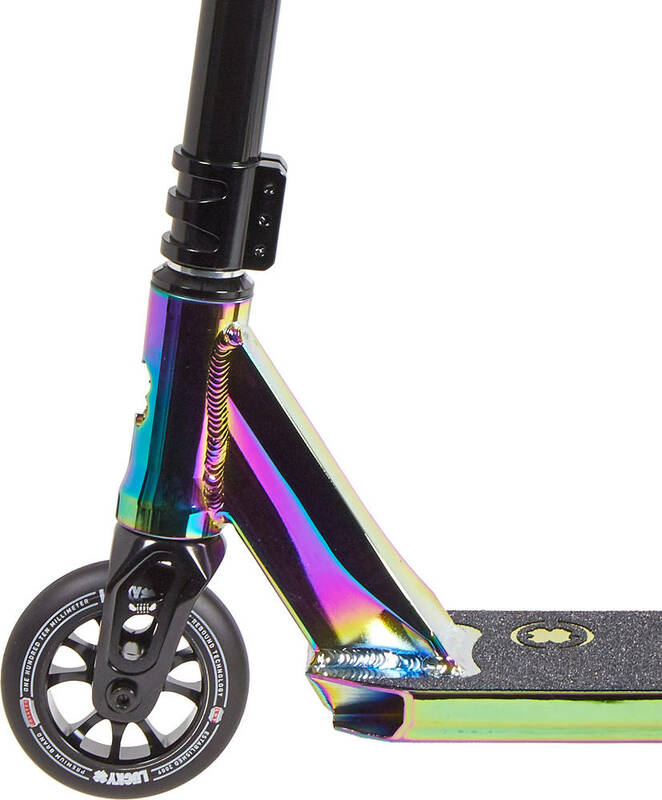 This trick scooter has been finished off with Lucky Vice Grips, HIC Compression and an awesome decal on the underside of the deck!